New: Issa will hold a Telephone Town Hall on Monday, April 17! Read on for more news from the 49th Congressional District. Urgent: Darrell Issa is holding a Telephone Town Hall tomorrow, Monday, April 17 at 6:00pm PT. Sign up here to participate. Let's be sure Indivisible voices are included! 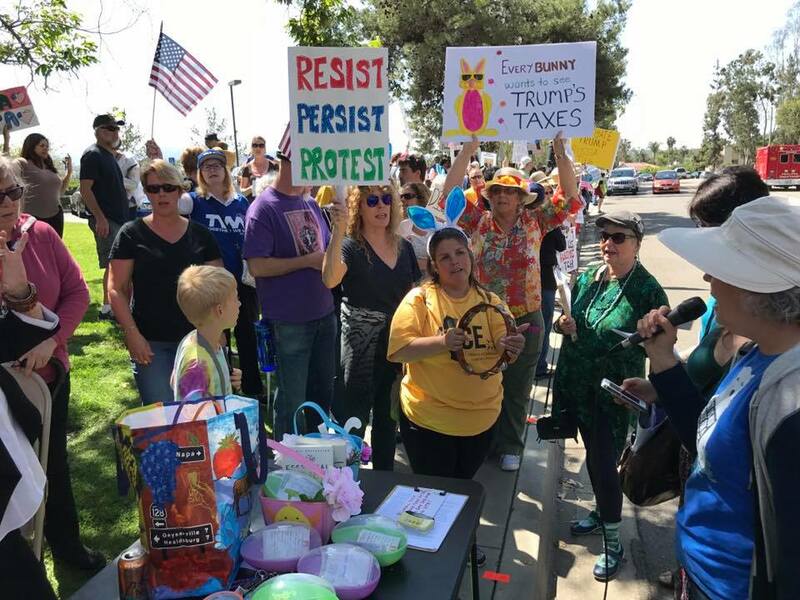 Over 470 people attended the Tuesday, April 11 rally at Issa's office. We appreciate you being there whether this was your first rally or your new Tuesday morning routine. The continuing strength in our numbers reminds the Congressman that we are committed to holding him accountable to his constituents. 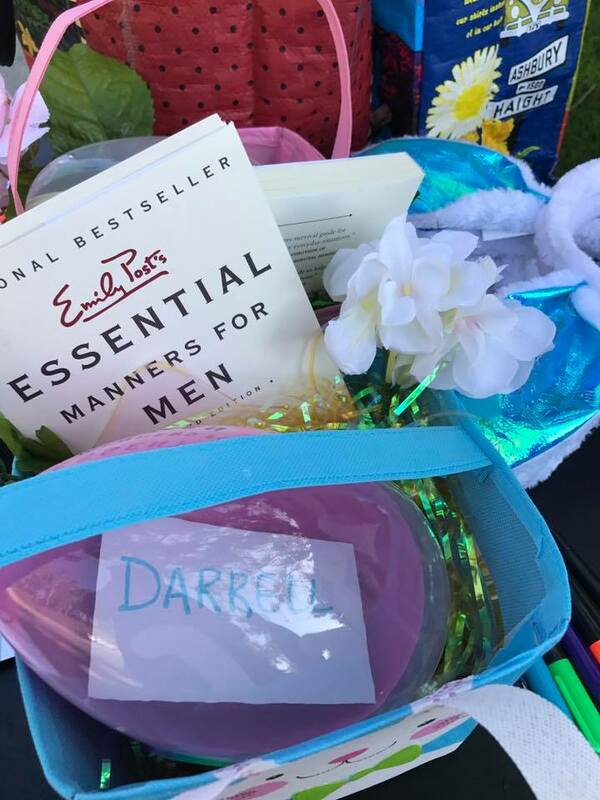 This week, baskets were delivered to Mr. Issa and Mr. Christiansen (District Director, Vista Office), with the book pictured here, and lots of notes from constituents. We had singers, we had speakers, we even had bunny ears! 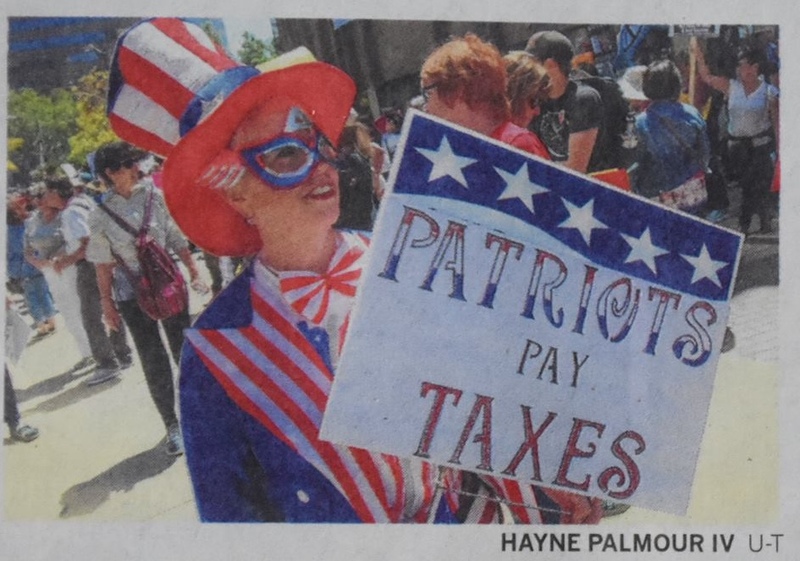 Some Indivisible Members joined the over 3,000 marchers who participated in Saturday's Tax March, demanding that the President release his tax returns. Here is a San Diego UT article about the march. This has been a terrifying week. Bombings in Syria and Afghanistan, and threatening posture with North Korea. It is our right to hear what our representative has to say about the escalation of military force. And it’s high time he stood up to 45. Bring your friends, your signs, and your positive energy! Will you join us? Yes, I will. All of the San Diego area congressional reps, including our favorite Darrell Issa, will speak at this event hosted by the Greater San Diego Chamber of Commerce. 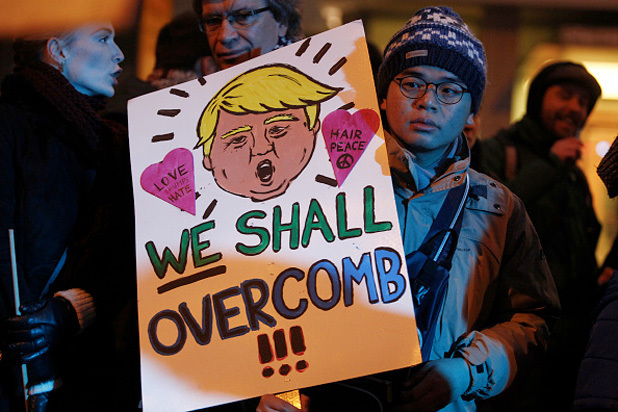 Let's tell them Trump is bad for business. Sign up to rally outside or email if you want to purchase a seat at our table. When we started this journey almost 100 days ago, we had no idea that our activism would create new friendships with like-minded people. We'd like to get together to celebrate our victories in this first 100 days, to recognize folks for their support, and to just have a good time. We might do a few chants and play some games, and we're definitely planning a best sign competition, so bring your favorite sign. If you can help plan this event or provide support, please contact Alisa.indivisibleNSDC@gmail.com. Flood Issa’s (or your Rep’s) offices with phone calls/in-person meetings to insist that Congress stand up for the health of constituents and not back any bill that benefits the wealthy over the sick. This is an excellent online training program. Its sessions are first live streamed, then available online, making it easy for you to participate or study. Highly recommended! Congress is in its second week of recess. Though the GOP appears to be stuck in a gridlock over health care, 45 is threatening to take away subsidies if Dems don’t come to the table. Stay away Dems and keep up pressure with calls/rallies/in-person meetings! Keep an eye on Georgia this Tuesday where a special election in Georgia’s District 6 is surprisingly close in an extremely Republican district. 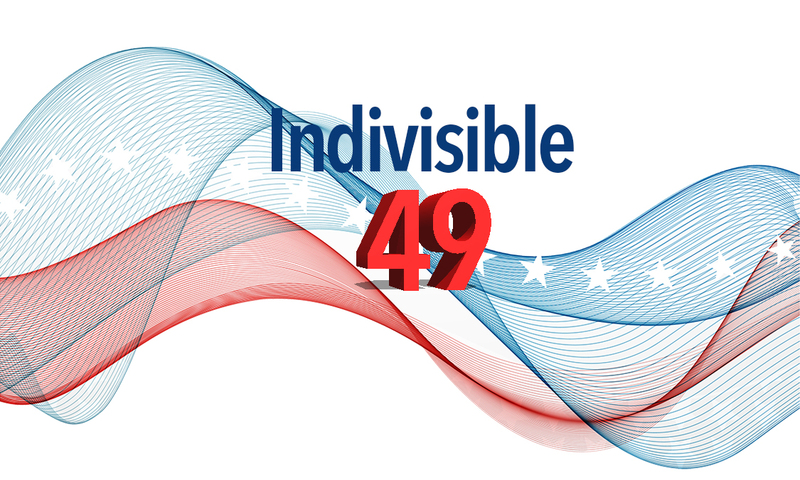 There are 19 Indivisible groups in District 6 alone--GO TEAM GO! We lost the recent Kansas District 4 special election BUT it was close--this in a district where Trump won 27% of vote. Momentum is building for 2018--keep up the good work! See the full legislative briefing.